We, at St. James Episcopal Church, are fortunate not to have any mortgages or other debt. In addition, we have some funds invested in The Domestic and Foreign Missionary Society of The Protestant Episcopal Church. The campus is comprised of a beautiful sanctuary, a parish hall with kitchen facilities and an administration building. Currently in the planning stages is a refurbishing of the library and the Sunday school classroom and the installation of a new sound system in the sanctuary. All funds for these projects have been donated or are available to allow St James to remain without debt. Due to the generous gifts and support of the St. James parishioners, and the diligence of the Vestry, Finance and Stewardship Committees, we ended 2018 with a net gain of $22,178 in our operating budget, demonstrating the congregation’s commitment to giving. The Finance Committee is an active 5-member committee chaired by the Senior Warden with the Treasurer and 3 parishioners that are not voting Vestry members. Stewardship is an important part of St. James Episcopal Church. It encompasses donating talent, time and treasure to maintain the facilities, support our clergy and staff, enhance the lives of all who attend St James Episcopal Church and to give aide as needed in our local community. The parish has an annual stewardship campaign through the Stewardship Committee chaired by a Vestry member. While the number of pledges for 2019 exceeded only those of the previous two years, the amount ($180,094) was the highest amount since 2013. In 2018, the first full year of on-line giving was made available at St. James Episcopal Church! Many parishioners have taken advantage of this secure and private service. They have found when they contribute online through e-check or credit/debit card, the contribution will automatically import into the church’s bank account and into PowerChurch (St. James software system) for the accurate recording of their contribution. Annual, monthly or weekly contributions may be set up on a continual basis or a one- time contribution may be made. In 2018, the on-line giving to both Operational and Restricted Funds totaled $37,836. 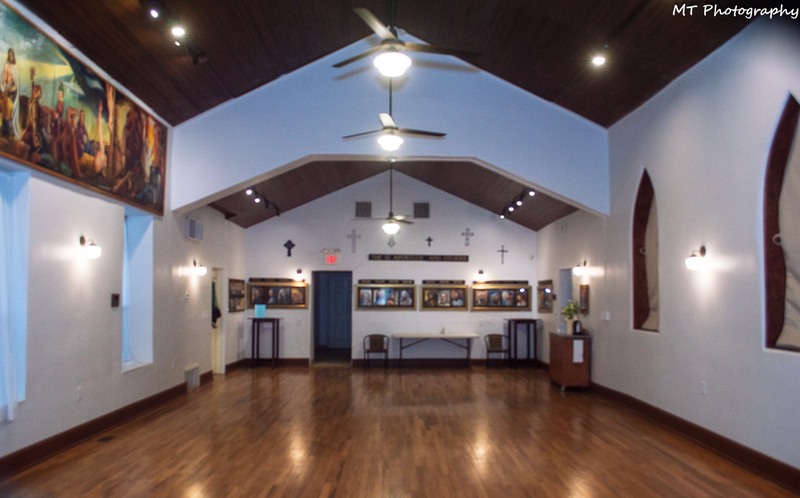 On December 3, 2017, St. James' Episcopal Church celebrated the completion of a four-year labor of love that resulted in the complete restoration and refurbishment of the Parish Hall, our first church building. Planning began in September 2013 with a commitment to raise the entire amount for interior and exterior rebuilding before the work was started. With a total projected amount of approximately $140,000, creative fundraising began immediately and included teas, handbag sales, musical events and "parties" in addition to thousands of dollars in donations from parishioners and townspeople, many anonymous. 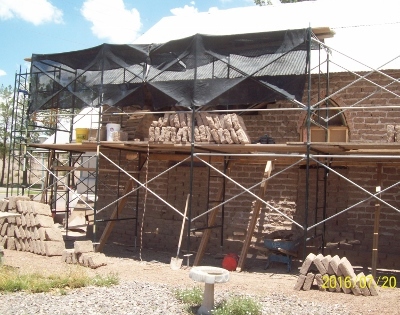 The walls and roof of the exterior were completely redone with the adobe preserved in a historically prescribed manner. The interior, likewise, was also refurbished.